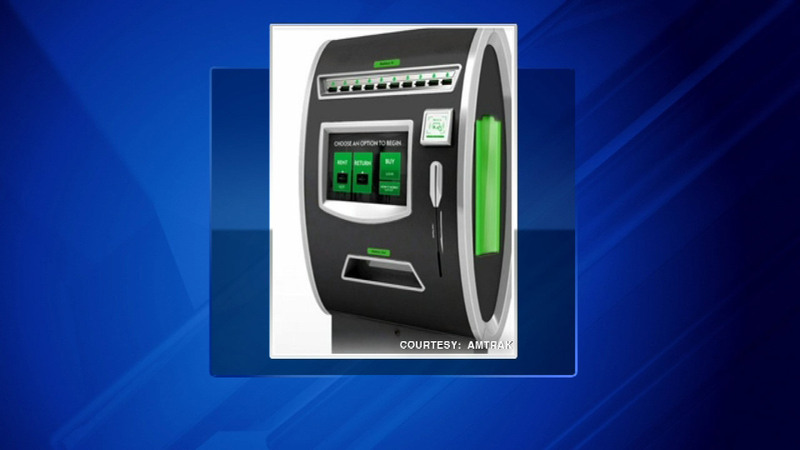 CHICAGO (WLS) -- There's a new perk for train passengers who need to charge their mobile devices while on the go. Amtrak has partnered with MobileQubes; the self-service kiosks provide portable battery rentals for mobile devices. Passengers can rent the portable cubes or battery packs now located in Union Station. They can then be returned at other MobileQubes kiosks in train stations, airports and convention centers throughout the country.